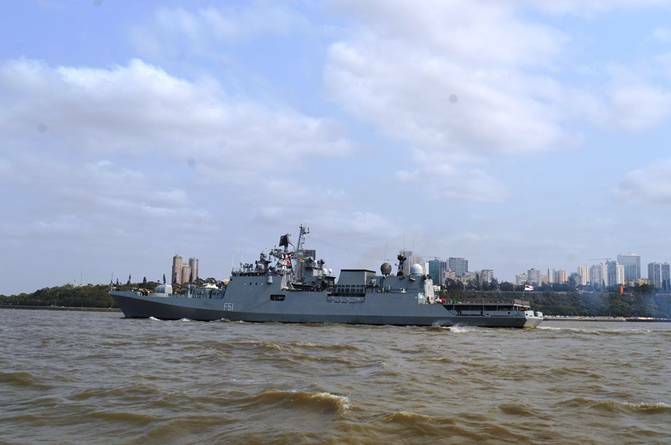 In a demonstration of India’s commitment to its ties with Mozambique and of Indian Navy’s increasing footprint and operational reach, Indian Naval Ship Trikand has arrived at Maputo on a three days visit, as part of deployment of the Western Fleet to the countries on the East Coast of Africa and Island nations in the Western Indian Ocean. The ship is part of the Indian Navy’s Western Fleet based at Mumbai under the Western Naval Command and is on a two month deployment to the Western Indian Ocean, along with Indian Naval ships Kolkata and Aditya. The visit is aimed at enhancing bilateral ties, strengthening the existing bonds of friendship and reinforcing cooperation in maritime security between India and Mozambique. During the stay in harbour, various activities are planned which includes official calls, cultural events and professional interaction between the two navies. During the stay, the ship would also be open to public for onboard visits. At the helm of the ship is the Commanding Officer, Captain Arjun Dev Nair who is assisted by a team of professional and highly motivated men of the Indian Navy. Maritime links between India and Mozambique date back several centuries. The large Indian diaspora present in Mozambique has contributed actively in promoting our shared socio-cultural heritage and common values. The recently concluded visit of India’s Prime Minister Shri Narendra Modi further strengthened the strong relationship between the two countries. Bilateral trade has also grown steadily in different sectors, including precious and semi-precious stones, agricultural products, petroleum products, pharmaceuticals, textiles, steel, sugar and cement. The growing defence cooperation between the two countries is evident by the increasing frequency of port visits by naval ships. The last such visit by IN ship to Mozambique was on 17 November 2014 when Indian Naval Ship Teg visited Nacala. The current visit seeks to strengthen the existing bonds of friendship between India and Mozambique and underscore India’s peaceful presence and solidarity with friendly countries of the region.